Glenn Myers was born in 1941 in East McKeesport, Pennsylvania. He was commissioned a 2d Lt in the U.S. Air Force through the ROTC program at The Citadel in Charleston, South Carolina, on January 19, 1965, and went on active duty beginning April 19, 1965. 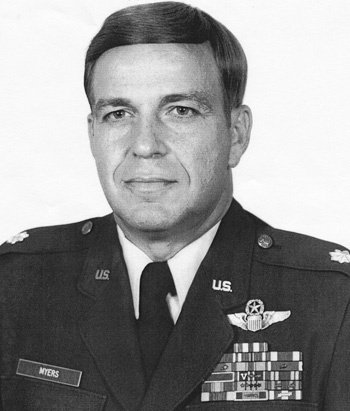 Lt Myers next completed Undergraduate Pilot Training and was awarded his pilot wings at Moody AFB, Georgia, in May 1966, followed by Tactical Reconnaissance Training and RF-4C Phantom II Combat Crew Training, from May to September 1966. His first assignment was as an RF-4C pilot and Pilot Systems Operator with the 22nd Tactical Reconnaissance Squadron at Mountain Home AFB, Idaho, from October 1966 to June 1967, and then as an RF-4C pilot with the 16th Tactical Reconnaissance Squadron at Tan Son Nhut AB, South Vietnam, from June 1967 until he was forced to eject over North Vietnam and was taken as a Prisoner of War on August 9, 1967. After spending 2,045 days in captivity, Capt Myers was released during Operation Homecoming on March 14, 1973. He was briefly hospitalized to recover from his injuries at Wright Patterson AFB, Ohio, and then attended pilot requalification training and Pilot Instructor Training. 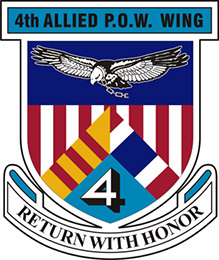 His next assignment was as an instructor pilot with the 97th Flying Training Squadron at Williams AFB, Arizona, from September 1974 to April 1977, followed by service as Commander of Field Training Detachment 528 with the 3751st Field Training Squadron at Williams AFB from May 1977 to July 1978. Col Myers then completed C-141 Starlifter training before serving as a C-141 pilot with the 20th Military Airlift Squadron at Charleston AFB, South Carolina, from January 1979 to July 1983. 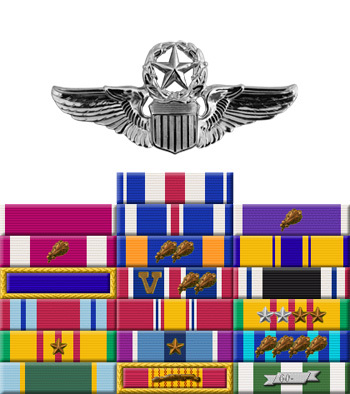 His final assignment was as Director of Operations for the U.S. Air Force-Civil Air Patrol Middle East Liaison Region at Andrews AFB, Maryland, from July 1983 until his retirement from the Air Force on November 1, 1985. On 31 August 1967: This officer distinguished himself by gallantry and intrepidity in action in connection with military operations against an opposing armed force while a Prisoner of War in North Vietnam. Ignoring international agreements on treatment of prisoners of war, the enemy resorted to mental and physical cruelties to obtain information, confessions and propaganda materials. This American resisted their demands by calling upon his deepest inner strengths in a manner which reflected his devotion to duty and great credit upon himself and the United States Air Force.